“Everybody is selling, there is a discount of $4-$5 in the local market ... still there is a liquidity crisis, inflation is still high, savings are not there," said Prithviraj Kothari, president of the Bombay Bullion Association. HDFC Bank, a gold importer, was offering at ₹ 29,040 per 10 grams, about 200 rupees higher than RiddhiSiddhi’s, a local gold supplier. The rupee has been trading recently at record lows against the dollar. 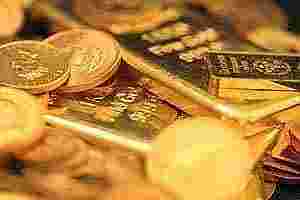 In the domestic futures market, gold and silver rose more than a percent, tracking gains on global markets, however. The most-active December delivery gold contract on the Multi Commodity Exchange (MCX) traded 1.05% higher at ₹ 28,707 per 10 grams, after hitting a high of ₹ 28,735. December silver was 1.33% higher at ₹ 55,052 per kg.